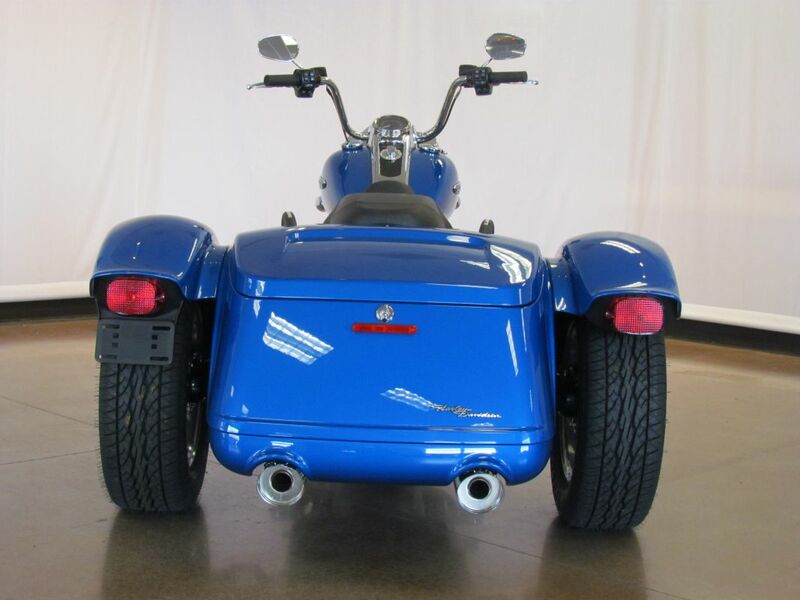 The Freewheeler® model puts stripped-down custom style into an easy handling frame that lets you roll with the confidence three wheels gives to a rider. You get classic cruiser lines and styling details, like bobtail rear fenders, slash cut pipes, a chrome headlight nacelle, 12-inch mini-ape hangers and Enforcer aluminum wheels. You also get enough cargo space to hold two full-face helmets plus your extra gear. The acceleration is instant, thanks to the low-end torque of the Milwaukee-Eight® 107 engine. And the 49 mm front forks and adjustable rear suspension make the ride smooth.